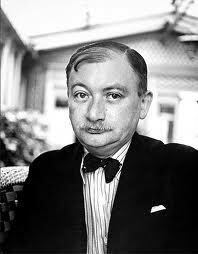 Joseph Roth, born Moses Joseph Roth (September 2, 1894 – May 27, 1939), was an Austrian-Jewish journalist and novelist, best known for his family saga Radetzky March (1932) about the decline and fall of the Austro-Hungarian Empire, and for his novel of Jewish life, Job (1930) as well as the seminal essay ‘Juden auf Wanderschaft’ (1927; translated into English as The Wandering Jews), a fragmented account about the Jewish migrations from eastern to western Europe in the aftermath of World War I and the Russian Revolution. In the 21st century, publications in English of Radetzky March and of collections of his journalism from Berlin and Paris created a revival of interest in the author. Irmgard Keun (February 6, 1905 – May 5, 1982) was a German author noteworthy both for her portrayals of life in the Weimar Republic as well as the early years of the Nazi Germany era. So perhaps they are unlikely compatriots – an Austrian Jew and a younger German – but nevertheless these works *are* interesting when set alongside each other. Dann moves into the hotel of the title, a formerly grand building which still has several floors of richer clientele, but also some upper floors which house a rich variety of characters – performers, money lenders, wanderers, mesmerists – and Stasia, who dances at the Variete and attracts Dann’s attention straight away. But he has a rival for her, in the form of his cousin Alexander. His local family members are that of his late mother’s brother, who seems to have been up to some fishy business with her money, and despite providing him with clothes and cast-offs, they are not forthcoming with any money. Our hero is running out of cash and may end up in hock to Ignatz, the lift operator, who seems to have quite a lot of control over events in the hotel, until an old friend turns up in the form of Zwonimir – a confident, imposing man who completely changes the dynamic surrounding Dann. The men look for work against the background of increasing civil unrest – this is an industrial town, and the workers are striking – and Zwonimir (a Russian) is fomenting revolution. 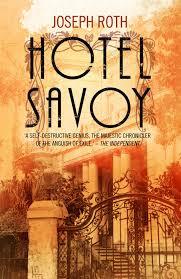 How will things pan out for Dann and his friends and colleagues at the Hotel Savoy? Roth writes very beautifully, conjuring up the industrial town battered by the war and revolution; the population equally damaged, many hanging on by the skin of their teeth; the corrupt industrialists who will exploit the workers for whatever gain they can. And then there is Bloomfield – a local boy made good, who has gone to America with his fortune and whose return is the cause of much rumour and excitement. But Bloomfield was once Blumenfeld and his return is not intended to help the many people petitioning him for aid. It is only the local Jewish population who know the truth behind his visit. The book is full of people yearning for a better world after the destruction of the First World War and revolution (at the time Lodz had been passing backwards and forwards between a variety of countries, and had a mixed populace of Germans, Russians, Poles, Silesians and Jews). It is not a coincidence that Zwonimir ‘s exclamation for something good happening is simply “America!” as that country was perceived by starving Europeans as some kind of promised land. After the climactic events of the book, some of the characters travel away by train in search of something new – the European equivalent of going west. This was an excellent, gripping read, capturing the dislocation of life post-war and the changing of the old social structures. Although a short work (just over 100 pages, like many Hesperus lost classics), it packed in much action but not at the expense of characterisation. And interestingly, I discovered after a little Internet searching that Roth was a friend of Stefan Zweig (whose books I recently discovered). Both men were remarkable writers, both suffered because of their Jewishness, both met a sad end – and both are excellent writers whose work I really want to explore more. (As a side note, congratulations to Hesperus for putting a warning at the top of their foreword informing the new reader that plot elements are discussed – I nowadays often avoid introductions to books in case they give too much away, but it’s nice for the publishers to be aware of this too. The book is nicely translated by Jonathan Katz, who also provides the introduction). “After Midnight” is a lovely little Neversink Library edition, translated by Anthea Bell (who has also produced works by Stefan Zweig) and with an afterword by Geoff Wilkes. The story is set a decade and a half or so after Roth’s novel, in a Germany which is becoming more and more controlled by the Nazis. The story is narrated by Sanna (short for Susanna), a young girl of 19 living with her half-brother Algin and sister-in-law Liska in Frankfurt. Sanna has fled her home in the country as she does not get on that well with her step-mother, initially lodging with her terrible Aunt Adelheid and cousin Franz, whom she is in love with. Sanna’s aunt is a horrid woman, tormenting Franz for a childhood tragedy that was in fact more her fault than anything. When she perceives Sanna is a rival for him, she denounces the girl who flees to Frankfurt, where she has settled down into a life with her family and friends, including her best friend Gerti. The latter is in a difficult position – in love with Dieter, a boy with Jewish blood, but with a family who want to marry her off to a nice SS man. As the girls travel across the city to meet him, they are blocked by a procession: the Führer is passing through. As the story unfolds, we meet other characters in Sanna’s orbit, including the cynical journalist Heini (whom Liska is obsessed with), and the Silias family, whose young daughter Berta has been selected to present a bouquet to Hitler. But Franz has reappeared and Sanna still loves him – how will the night progress; who will survive and who will not; do Sanna and Franz have any chance of a future? I’m trying to discuss this book without giving too much away, because there are shocks and surprises as the story is told. “After Midnight” is wonderfully written, in the first person and in a very immediate way – we are following Sanna’s life and thoughts and it almost reads like a stream-of-consciousness narrative, so we feel as if we are experiencing the events alongside Sanna. We learn about her route to this point in time in a series of flashbacks, and become really involved with what is happening and her future. Keun also manages to portray in a remarkably clever way what it was like to live in Nazi Germany; the creeping fear of denunciation; the random prejudice and violence; the way that nasty people could lie and inform on others with no basis; and the despair that overtook many of the independent, thinking people living in this kind of society. Keun never beats you over the head with this, instead using Sanna’s narration and viewpoint on things to demonstrate how it was, which is much more effective. “It always used to be so cosy when two girls went to the Ladies together. You powdered your noses, and exchanged rapid but important information about men and love. And you combed your hair, and the pair of you wondered whether to let the man you were with take you home, and if they’d get above themselves, and want to kiss you when you didn’t. Or if you did, you’d be terribly worried the man might not think you pretty enough. You exchanged excited advice in the Ladies. It was often silly advice, but still, conversations in the Ladies were fun, and interesting. In some ways this is a bleak book, but it also contains optimism and demonstrations of the resilience of the human spirit. Sanna is a wonderful character who we really care for and hope will survive to make a new life. I’m so glad I discovered this wonderful author and I’m really looking forward to reading more of her work. Reading these two books in tandem ended up being a fascinating experience. Although the two authors were only briefly linked, their novels do have a relevance in being studied together. In less than two decades, Germany went from a fragmented, crumbling nation trembling on the brink of revolution, to a united, warlike and powerful country controlled by a right-wing caste. 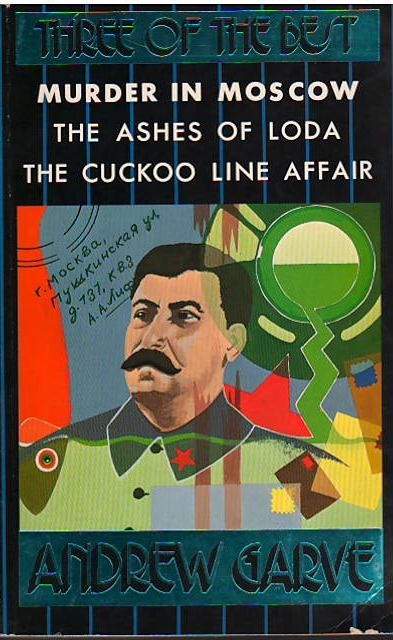 The Jewish question and the subject of identity is a strong theme in Roth’s work, and the relevance of the shifting borders of the countries at the time of the story. Keun’s work is from a different point of view, that of an ordinary German girl, who nevertheless is struggling in a changing world. These two books reflect the differences between these two poles and show us how literature can help us to understand the transformations that take place in life. Both are highly recommended! As I’ve rambled on before on this blog, Italo Calvino has long been one of my favourite authors – since my discovery of his work in 1982 in fact – so I was delighted to find that a new English translation of a book of his essays would be available this year (along with a collection of his letters, which I’ve yet to get my hands on!) “Collection of Sand” was published during Calvino’s lifetime, so approved by him, but has only just been made available in English, translated by current Calvino supremo Martin McLaughlin. 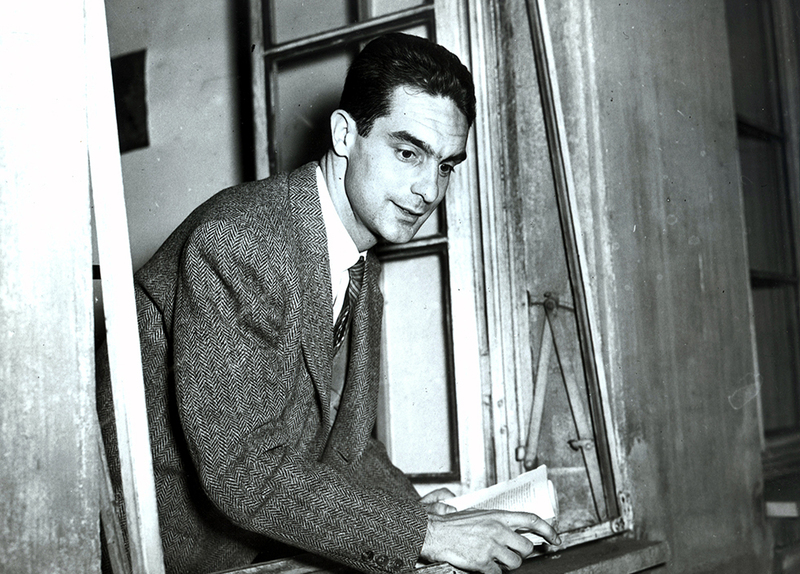 Calvino was a remarkably versatile writer, probably best know for his fictions, but he was also an essayist and lecturer. “Collection of Sand” brings together a number of short works in different sections. The first, entitled “Exhibitions-Explorations” consists of pieces he wrote for the newspaper la Repubblica while living in Paris, and they are stimulated in the main by cultural events and exhibitions in that city. The second, “The Eye’s Ray” contains further pieces written for the newspaper, a little wider in inspiration and themed around the visual. Thirdly, we are treated to a series of meditations entitled “Accounts of the Fantastic” which is just that. The last section “The Shape of Time” deals with travelogues, jottings and thoughts from Calvino’s journeys. 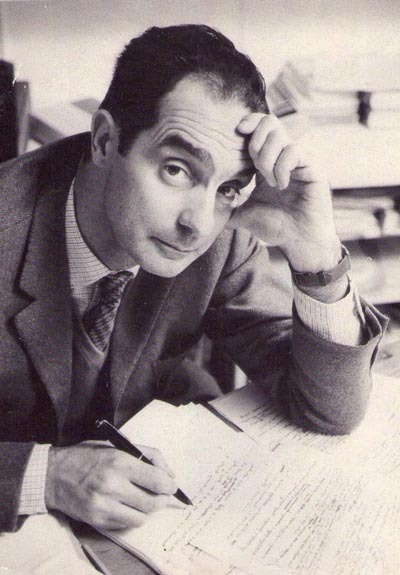 Italo Calvino is always a delight to read – he has such a unique outlook on life, and I picked up echoes of his fictions in the thoughts he shares here. As so often with a Calvino book, I end up with a sheaf of pieces of paper sticking out of the pages, marking quotes I like – far too many to reproduce here! Much of this work is the fruit of his travels, and a life spent living in different cities. He moved from Italy to Paris and back to Italy again, and also visited countries as diverse as Japan, Mexico, America, the USA and the country of his birth, Cuba – where he met Che Guevara. His view is always European and much of the delight of this book is seeing things through his eyes. “Seeing” is the operative work here, in a book which *is* quintessential Calvino. Whichever method of travel he’s using – whether literally, to Japan, Mexico or Iran; or metaphorically, via books, art and exhibitions – he is always considering the process of looking at things. What we see and the way we perceive life and existence is a constant theme in his work and it is distilled in these essays, beautiful little ruminations on maps, cities, stamps, obsessive collectors and much more – and underneath it all, humans and their relationship to the world. Calvino is an impeccable guide to the world of signs, a writer who always stimulates the mind and sets the eye looking at things differently. I really can’t wait to read his letters! One of the constant delights of browsing in charity shops, book blogs and swapping sites is the random stumbling across of treasures. I had this experience earlier this year with Fred Basnett’s Travels of Capitalist Lackey, which attracted me by its title and turned out to be a wonderful travel book through Communist Russia. In a similar way, Murder in Moscow was a title that showed up on ReadItSwapIt and although I didn’t get my copy that way, I did find a very cheap, fat omnibus version of this tale (along with two others by the same author). I *love* finding a lost treasure and this turned out to be one! Just a few bare facts, but enough to intrigue. 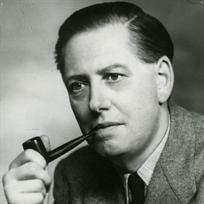 “Murder in Moscow” is set in that very city in 1951, behind the Iron Curtain, and it seems that Garve/Winterton had spent some time in Moscow as a correspondent during the Second World War so he was writing from first-hand experience. The story’s narrator is George Verney, a journalist who is returning to Moscow as a correspondent, after having spent time there during the war (!) – so art is imitating life already. Verney is very fond of the country and the people, although critical of the regime, but is very much looking forward to visiting Russia again. Travelling on the same route as Verney is a British peace delegation, comprising a very motley crew, from a politician to a sculptor to a Welsh nationalist to an ordinary working man – you get the picture: an ideal closed group in which to set a murder mystery. And indeed, once in Moscow, after several days of being fed propaganda, things take a dramatic turn when the leader of the delegation is found with his skull cracked open. The Soviet authorities are quick to find a culprit by fitting up a harmless waiter as an enemy of the people. But Verney and his reporter colleagues are not so convinced, and a further complication occurs when Russian female friend of George’s American colleague Jeff, is suddenly whisked out of circulation. What was the motive of the murder, who did it and are there connections to activities during the war? And will George and Jeff be able to solve the mystery despite the hindrance of the Soviet authorities? This is a really satisfying book on a number of levels. Firstly, it’s a great mystery – in fact, slightly a combination of murder mystery and thriller owing to the hints of espionage and tussles with Soviet bureaucracy. I had no idea who had done it or why, and was happy to just go along for the ride! It’s well written, the characters are a hoot and pretty well-developed for this kind of novel. There’s a spectacular twist which I didn’t pick up on, suspecting all the wrong people, and a gratifying ending! So for that alone this book is worth reading. However, the Russian element added a special something to this work for me. Garve/Winterton so obviously knows and loves the Russian people and country, and there are some lovely descriptions of the place. 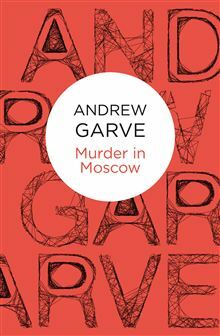 After reading “Murder in Moscow”, I did a bit of searching online and found that Andrew Garve is not so neglected as I might have thought! Bello Books, the POD and digital division of Pan Macmillan, have released a number of his books (including this one) which is great news for all fans of well plotted, well written thrillers! Well done Bello! I shall definitely be tracking down more Andrew Garve. Books are my Bag – An impromtu trip to London! As any reader of book blogs has probably picked up, Saturday was designated as “Books are my Bag” day, to promote the buying of real books in real bookshops. Alas, it appeared that nowhere in my locality was celebrating this fact, so I wasn’t too sad when I found out I had to pay a flying visit to London that day! Unfortunately, I was on quite a tight schedule which meant I ended up with two hours to get round any shops I wanted to visit before ending up dealing with the errand I went on. So I had to plan carefully, and in the end plumped for Foyles, and a few locations round Charing Cross Road. 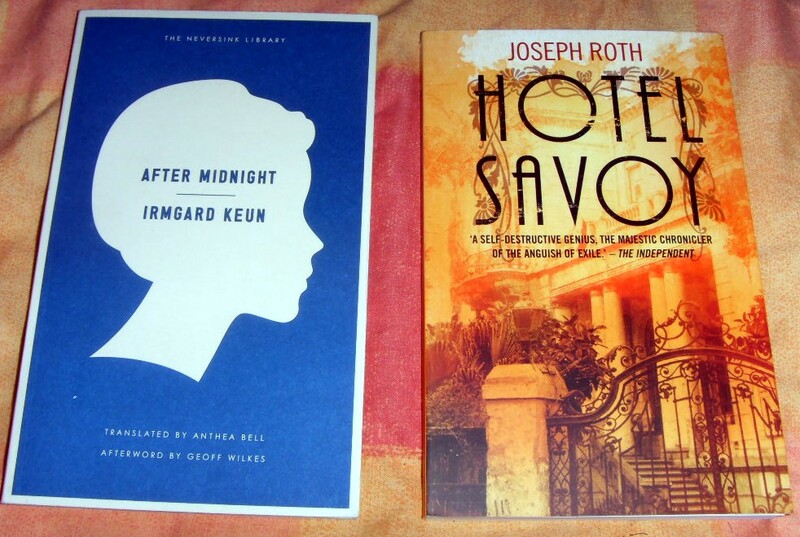 “Hotel Savoy” by Joseph Roth is a lovely Hesperus volume I’ve been eyeing up for a while and I finally succumbed. Since I love European literature so much, this should be right up my street. 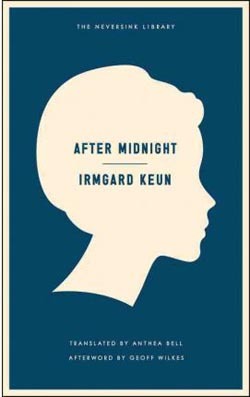 “After Midnight” is written by Irmgard Keun, who was Roth’s lover, and the book is set during the rise of Hitler. This is a lovely Neversink book from Melville Press about whom I know absolutely nothing – but it was translated by Anthea Bell who’s done such lovely work on Stefan Zweig, so that bodes well! The Meredith is an early Virago and one I’ve been after for some time; the Turgenev is from NYRB and it’s always nice to find them second-hand; and the Nabokov is a lovely Penguin short story collection with a Tamara de Lempicka on the cover – ’nuff said! Lovely finds all, and I’m particularly pleased with the Turgenev, as this is a Constance Garnett translation. She’s very much maligned by later translators, and I’m not sure that I’ve ever read one of her versions, so I’m interested to see how it compares. I’ve been on a little bit of a Rebecca West kick recently, so “Harriet Hume” was a delightful find as it seems to be hard to track down online in the green version (I’ve seen several black cover American ones). 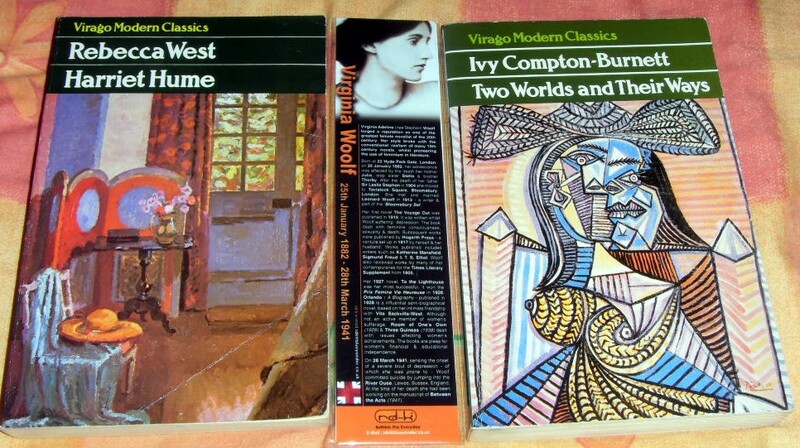 And the Ivy Compton-Burnett cover alone makes it worth buying (I indulged in a Virginia Woolf bookmark too). So all in all, it was a lovely book buying interlude. I always love to visit Charing Cross Road, though nowadays this does bring a certain melancholy. Currently the top end is being torn apart for the Tottenham Court Road tube upgrade, and so many of the little old buildings and shops that gave the place character have disappeared. In the 1980s I would meet friends for book shopping trips and we’d pop into strange little cafes in side streets for lunch, explore the many bookshops the street had to offer and have a wonderful time. Alas, now there are a handful of shops and I found it depressing to see that Borders has now become a TK Maxx and that the Virgin Megastore in Oxford Street is now a Primark. At least there are still some bookshops to fight the cause and I’m glad I supported them at the weekend. Who knows how long it will stay there? But the Tube still holds delights – while travelling through West Acton overground section, I spotted this lovely 1930s style curvy waiting room – gorgeous! 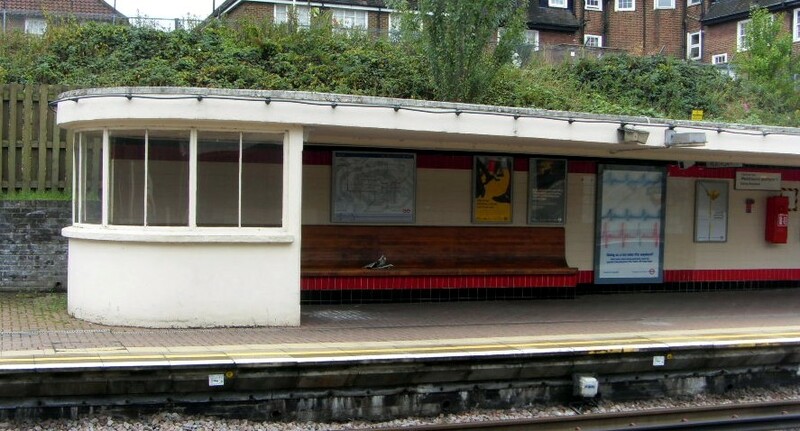 Let’s hope lots of the older style bits of the Tube are allowed to survive! Today is the birthday of one of my favourite authors – Agatha Christie, who was born on 15 September 1890. Christie is of course a literary legend, having created some of the most famous detectives in fiction, Hercule Poirot and Miss Jane Marple. She had a long and prolific career, producing 66 detective novels, many short stories, romances under the name of Mary Westmacott, and plays – including “The Mousetrap”, the world’s longest-running play. That’s certainly some achievement! Agatha’s books have been among my favourites since I discovered Hercule Poirot in my teens, during that difficult reading transition from childhood to adulthood – this was in the days before there were dedicated Young Adult books, and in some ways I think this was preferable. If you were an avid reader, like me, you could easily make the transition to adult books in your early teens and murder mysteries were a good way to do this (we won’t mention my mum’s collection of Victoria Holt, Jean Plaidy, Mary Stewart, Susan Howatch et al!). So I devoured Agatha’s books in my youth, collecting old and battered paperbacks where I could from charity shops, jumble sales etc (I didn’t have much book money at the time) and I still have them proudly on my shelves. I loved Poirot and Marple of course, but I’m also inordinately fond of her Tommy and Tuppence books, and also her thrillers. Christie has been criticised by some as having undeveloped characters or bad plotting, which I really don’t understand. She’s a brilliant writer in my view, in control of her material and what she wants to do and say with it. Her characters live for me and I return to her books over and over again, always with a great sense of enjoyment. Yes, perhaps her later books are not quite so good as the early ones – but not-so-good Christie is better than most others! So happy birthday Dame Agatha – and thank you for the reading pleasure you’ve given me over the years! I confess I am very behind with August’s episode of Dance to the Music of Time – life and other books got in the way – but I’m going to try to read two of the books in one month. In the meantime, here are my thoughts (belatedly) about book 8 in the sequence. Actually, episodic is the right word to describe Powell’s novels, as it’s become clear by now that each chapter relates the story of an event, or series of events, that have made up an episode of Nick’s life. 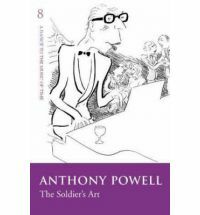 And how like real life this is, because very few of us remember our lives sequentially; instead, particular times, places and happenings stand out in our memories, and so Powell is adept at capturing what the real experience of remembering is. “The Soldier’s Art” continues from “The Valley of Bones” with Nick now working for Widmerpool at Divisional HQ. It is 1941 and so the War is taking hold. Being employed by the wonderful Kenneth is not the most scintillating of jobs, and Nick obviously craves something more. A fluke conversation with General Liddament leads to a recommendation for a position with the Free French forces, and Nick is due for an interview during his forthcoming leave. Meanwhile, Widmerpool is heavily involved in army politics, jockeying for position with a colleague, Colonel Hogbourne-Johnson. And in the Mess, a shock is in store, as an unexpected Mess Waiter turns out to be an old friend of Nick’s, who unfortunately draws the wrath of Biggs, an unpleasant Captain. There are only three long chapters in this book and the second covers Nick’s leave in London. The interview for the Free French does not go well, as Nick’s language is not up to the job. However, he manages to meet up with old friends, having a drink with Chips Lovell, and dinner with Moreland and, most unexpectedly, Audrey Maclintick. Emotions are running high as Priscilla Lovell, Nick’s sister-in-law, has been having an affair with Odo Stevens, and turns up at the same restaurant with him as he is off on a posting. Chips, meanwhile, wants a reconciliation and has gone off to a gathering where he thinks she will be. Nick goes home with Moreland and Audrey, where they encounter Max Pilgrim with some dramatic news…. The third chapter sees us and Nick back at HQ where there are all sorts of upheavals going on. The Mess Waiter has been transferred to the mobile laundry; Bithel, who is in charge of that unit, is caught drunk by Widmerpool (despite Nick and the waiter’s attempts to cover up) and our Kenneth has him dismissed from the army. Widmerpool’s behind the scenes manipulations go a little too far and despite his promotion, there is a hint things may not go well for him. And Nick, previously unsure of what would happen to him on Widmerpool’s promotion, is summoned to the War Office! This is one of the shorter books of the sequence, but my goodness! it delivers quite a punch! I’ve worded my comments as carefully as I can above because I don’t want to give out any spoilers, but there is plenty of drama in this book and I was really gripped from beginning to end. The War starts to hit home in a particularly hard way, and what is surprising that much of the dramatic action happens when Nick is on leave in London. The first deaths that really affect us take place amongst civilians, in the blitz, and so are more powerful because we are not necessarily expecting them. One character seems to have some kind of premonition of what is happening and their leavetaking is touching and poignant. There is much Widmerpool in this book, and it’s fascinating to look back to the first volume, “A Question of Upbringing”, and recall his appearance at the start, his dogged running reflecting his stubborn, determined nature. There are unexpected reappearances, as there usually are, and some losses referred to almost casually – which makes the event even more shocking. Powell is always adept at delivering these, but never so much as here – I came out of this book feeling quite emotionally wrung out! The portrait of army life is of course excellent – the petty everyday brutalities, the boredom, the relentless procedures, the caste system of the ranks – but it is the despair caused by the war that is shown so well here. The norms go out of the window and people taken unexpected actions: a suicide by a solid army man thrown into sudden anguish; the union of Moreland and Audrey, who previously very much disliked each other; and the breakdown of marriages and normal relationships as a kind of recklessness takes over. “I shut my eyes and turned them on my heart. There is a sense that more losses are to come before the world is set to rights – I can’t wait to get into the next book, but in many ways I don’t want to! 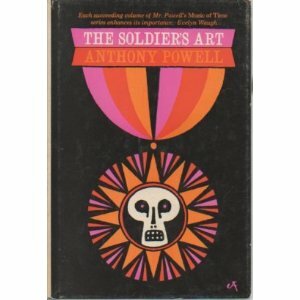 Excellent writing as always by Powell; a remarkably good book! I’m having to acknowledge nowadays that I’m a very impressionable reader, easily influenced and seduced away from my reading plans by an interesting piece or a blog, a recommended book or the discovery of a new author. 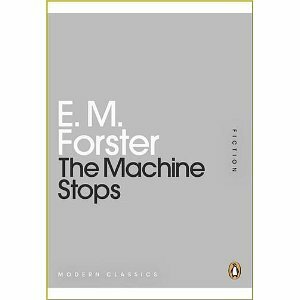 This read is a case in point – after reading this fascinating piece on Interesting Literature I went off in search of any of the titles mentioned and came across a Penguin Mini Modern Classic of the Forster. I was intrigued by the idea of early dystopian writing (I have several examples already on Mount TBR), and this sounded particularly good. The slim volume contains two stories, the title one and another called “The Celestial Omnibus”. 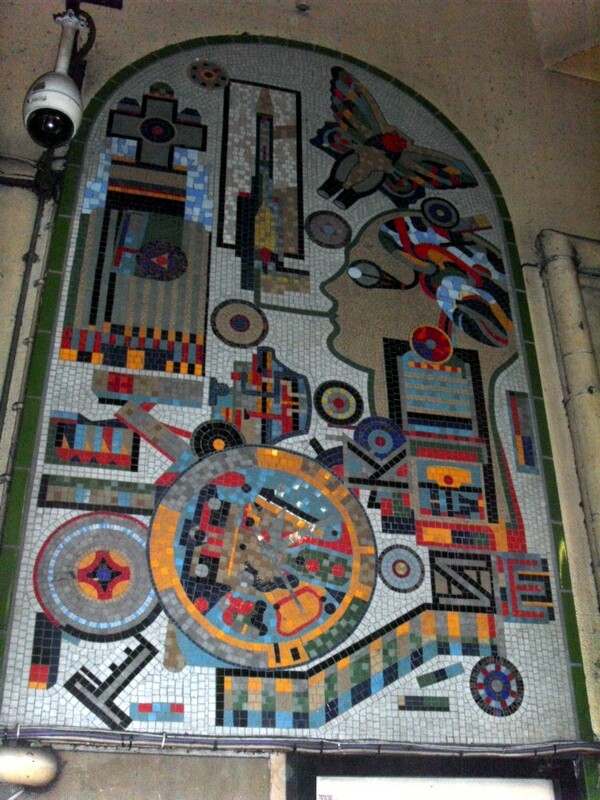 “The Machine Stops” opens with a woman called Vashti ensconced in her living cell, communicating with her son Kuno on the other side of the world via what can only be described as a primitive kind of telescreen or Skype. As the story develops, it transpires that human beings are living underground; all communications, sensations, bathing, dressing, eating, socializing, learning – in fact, literally everything – is provided by, and governed by, The Machine. This is a man-made conceit which has gradually taken over the running of human life, leaving the overground uninhabited and the humans are no long able to breathe the real air and survive outside. Any visits to the upper world, to travel via airship to really visit another person, require a respirator. But this is not quite the whole truth. Kuno has conceived of an urge to see the stars in the sky. First he had to develop his fitness for some time – for the humans are more like slugs nowadays, adapted to a sedentary life: “… in the armchair there sits a swaddled lump of flesh – a woman about five feet high, with a face as white as fungus.” Once he has developed some physical strength, Kuno explores and finds a hidden way outside – will he survive, how will this affect him, and will he be declared ‘homeless’? (in effect, put out on the surface to die). As this is a dystopian world, obviously things will go wrong but I’m not going to give away the plot. I would simply urge you to read this story if you have any interest at all in this type of fiction! As for “The Celestial Omnibus”, this is an affecting little tale about a young Victorian boy who discovers that a very unusual bus service runs from an alley near his house. The signpost is labelled “Heaven” and was apparently put there by Shelley! The boy’s parents mock him, in particular his cruel father, but Mr Bons, a family friend, humours him. However, when Bons sets off to take the bus with the boy he gets a lot more than he bargains for. This little gem was just as affecting as the first story, although very different. It seemed to me to be about the gulf between adults and children; the former are closed-minded and cannot deal with anything out of the normal; whereas children, with their still uncorrupted and undeveloped minds, are much more accepting of the unusual. I have to confess that I think this is the first Forster I’ve ever finished and the stories were very enjoyable. Highly impressed!